So I have been wanting a kimono for quite some time, its just so girly and I love the relaxed flowy feeling it gives. 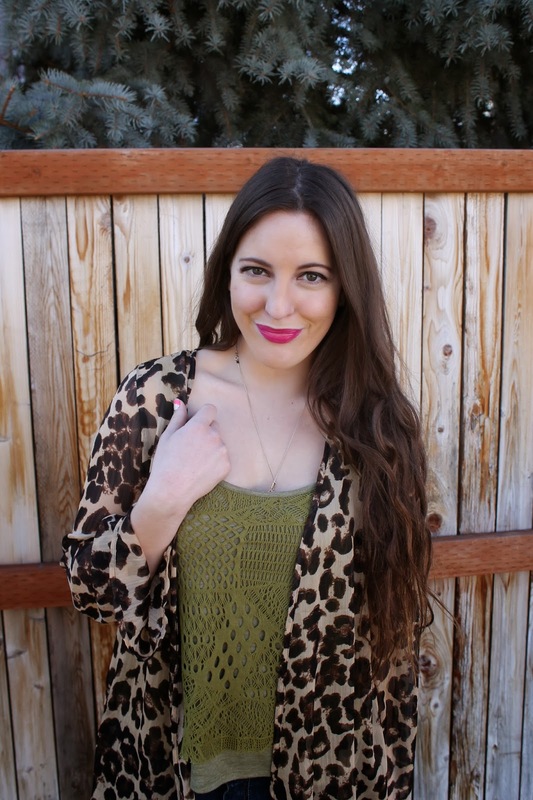 When I saw this leopard kimono at Riffraff, I knew I needed it. Not only was it a kimono, but a leopard one!! I love anything leopard print, and I honestly have worn this thing at least 4 times since I've gotten it, its because it oddly goes with pretty much everything. I never thought I could wear leopard with so much but it being a kimono I think it just works. 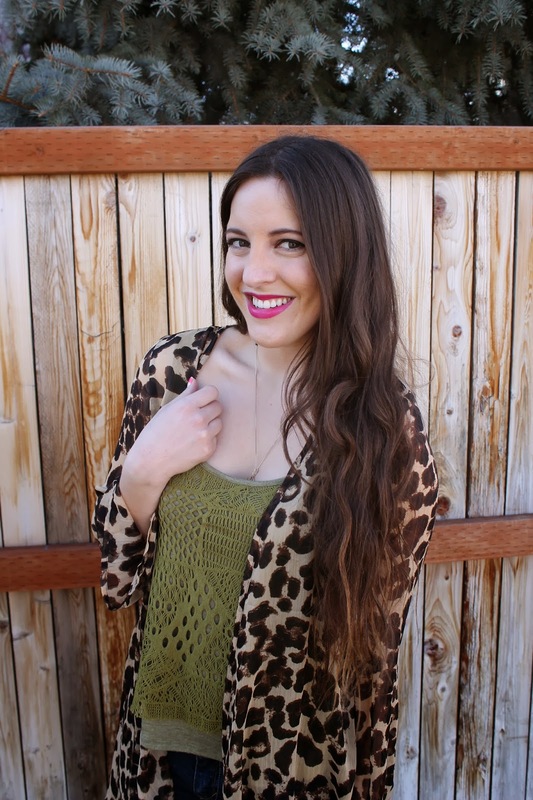 Needless to say everyone needs to have at least one kimono in their closet, just such a fun piece to wear. 4. 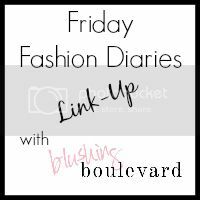 It is required that you link back to this link up in your post! Use the button or a simple link! I love the kimono! How long did it take your hair to get that long? That's such a great kimono! I mean how can you resist leopard? hey Lily! I need to apologize for the late showing. I link yours to mine late last night before mine published and plumb forgot I hadn't linked to your yet. doh! sorry 'bout that! 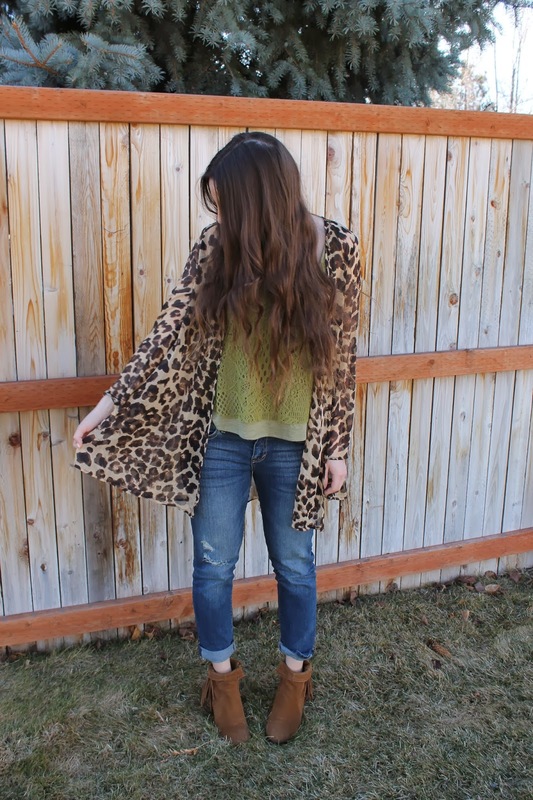 Love the leopard Kimono! ! ! Love your style!!! Your new follower from Puerto Rico!! !